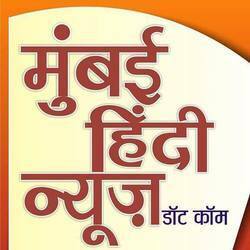 Mumbai Hindi News - Service Provider of mumbai hindi news, advertisement in all hindi news papers & advertising services since 2012 in Mumbai, Maharashtra. Communication platform to connect hindi speaking people of western India amongst themselves, with local people ; and with the vast mass of hindi heartland states of Uttar Pradesh, Bihar, Madhya Pradesh, Rajasthan, Delhi, Haryana, Punjab, Himachal Pradesh, Uttarakhand, Jharkhand ,Chhattisgarh and sindhi community --and vice versa. is also single most largest hindi media platform which provides national and global reach to activities, deeds and aspirations of all people of western india and focusses nation and globe towards this part of India. is also single most largest news and views hindi platform in western India for mutual exchange of ideas, activities , understanding and co-operation.